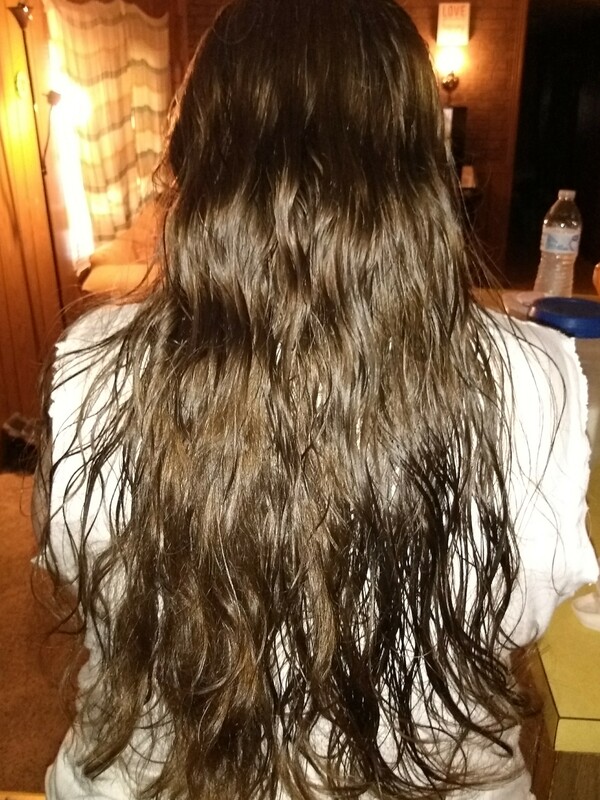 Virgin Auburn wavy hair. Never colored or permed. Never had lice. Good diet, no drugs/alcohol and nonsmoker. The outside picture was taken a year ago. My hair is much longer now. The inside picture was taken today right after washed it. It is still wet. 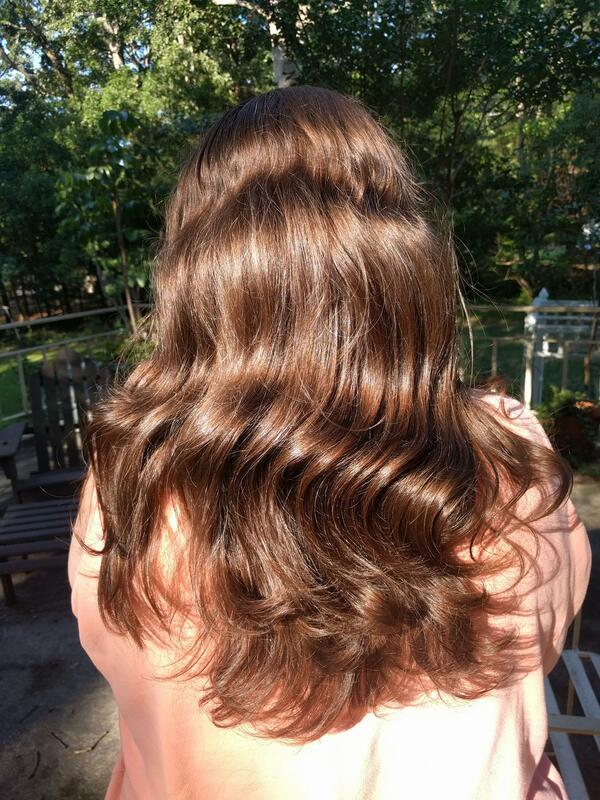 Virgin Silky Thick Brown Hair 16"